James is an English artist and designer based both in Portsmouth, England and Istanbul, Turkey. 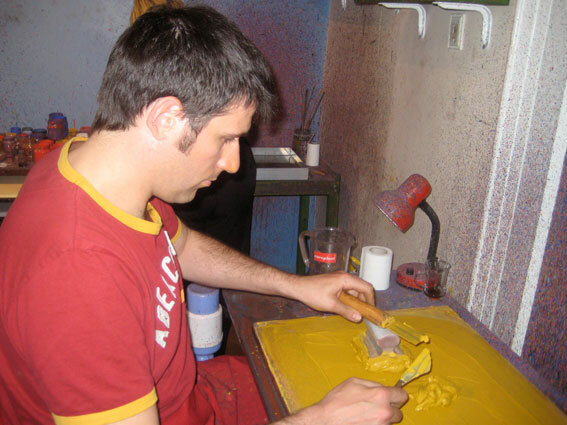 He specialises in contemporary and traditional Turkish Ebru, an intriguing and historically fascinating art form which dates back hundreds of years and refined by generations of secretive practitioners. To find out more go to History of Ebru. In February 2009 James’s Turkish wife, Bahar took Him to Moda, Istanbul’s artistic quarter. Here he received a birthday gift which was to change his life. It was his first Ebru lesson. James went on to study Ebru for five years in Istanbul under the expert tuition of Kubilay Dincer. With the support of his wife James set up his own studio dedicating hours upon hours of practice to mastering the techniques and developing his own style. He also exhibited in the historic Antik Hotel making his first sale from a pioneering non-classical style of ebru, The Willow Tree. During this time James and Bahar had two lovely children, experiencing all of the challenges and joy this can bring. 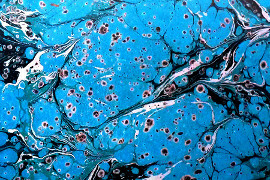 Enthralled by traditional Ebru methods including the preparation of one’s own brushes using horsehair and rosewood, crushing and mixing raw earth pigment and the six week process of educating the dye with ox gall, James now wants to share this incredible art form with everybody. 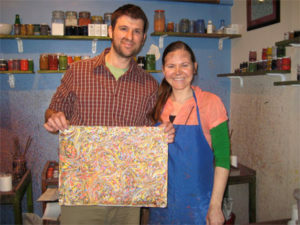 James supported his Ebru master Kubilay at several events and was struck at how quickly people became mesmerised and the joy they experienced from creating their own unique piece of Ebru. 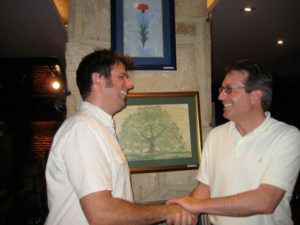 To find out how to experience Ebru first hand with James, please go to classes. Early on James realised the potential for developing fabrics and home-ware items with the beautiful flowing patterns made possible by painting on water. To really capture the possibilities James was imagining, he knew he would also have to invest many hours in learning how to use digital media to render the images at the professional standard he was aiming for. The beautiful scarves and other luxury items now available from James have been years in the making, a result of his vision and determination to bring this culturally rich Turkish art form to the attention of the wider world. Turkish Ebru was formally inscribed by UNESCO in 2014 as part of the Intangible Cultural Heritage of Humanity. 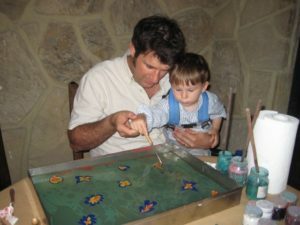 James is very proud to be playing his part in establishing an Ebru art renaissance, ensuring future generations know the art and adventure of painting on water. James would like to pay his deepest respect and gratitude to the Ebru master, Kubilay Dincer. 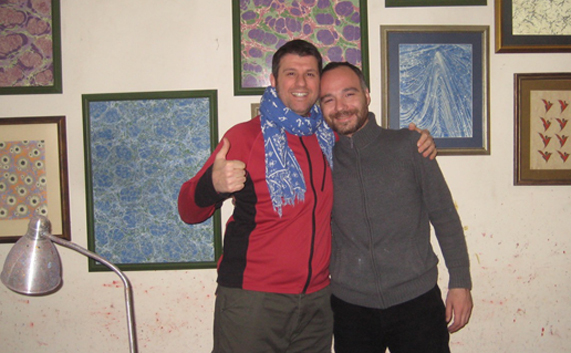 A wonderful human being who has done so much to reinvigorate the art of Ebru and the life force of James Mouland. Nam Myoho Renge Kyo, old friend.